Lace up your walking shoes and head to Driver for a brisk walk down the Suffolk Seaboard Coastline Trail. 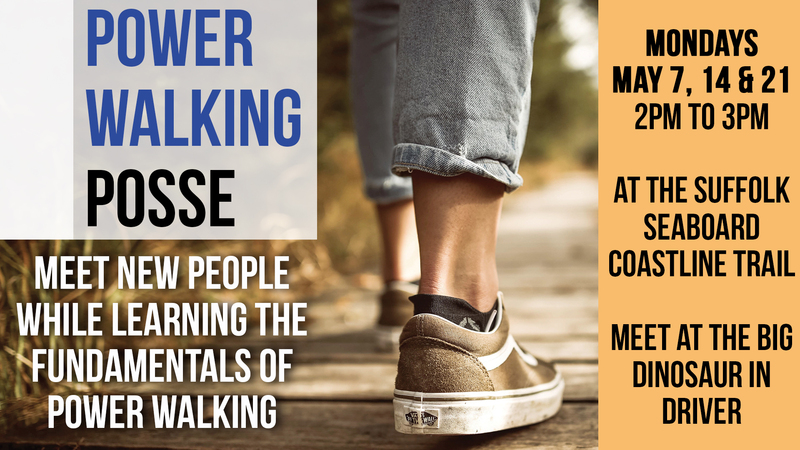 Learn about the fundamentals of power walking, burn some calories, and meet new people. We'll meet near the intersection of Nansemond Parkway and Kings Highway. Look for the big dinosaur as you drive in! There is a parking lot near the trail entrance at 3170 S Hampton Roads Trail Suffolk. If you have trouble pulling up directions you can also search for B & H Produce.